Are you one of those who think that freelancing is the best way to be free from the chaos of the never-ending rat race and the bureaucracy of a fixed 9-5 job? Start with designing a portfolio site for yourself which talks about your skills, past projects, and client testimonials. It should be creative enough to get everyone’s attention the moment they visit it for the very first time. Make sure it looks beautiful and engaging, and has necessary features to be ranked on the first page of search engines. To make your job easy, we have brought together top 25 WordPress themes that thousands of freelancers from all across the world prefer to use on their portfolio sites for desired results. You can also check them out and select the one that suits your requirements. 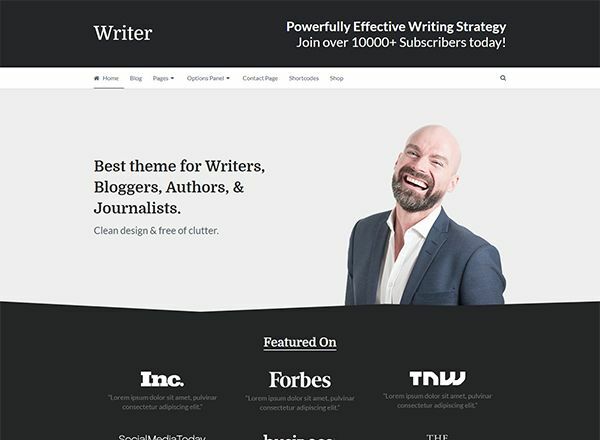 Writer is one of the simplest, most feature-rich and useful WordPress themes you can ever come across. Perfect for bloggers, writers, journalist and authors who wish to create a unique identity in the market. It’s packed with a broad range of world-class features, clean code, and fast loading speed to help your website do well on search engines. 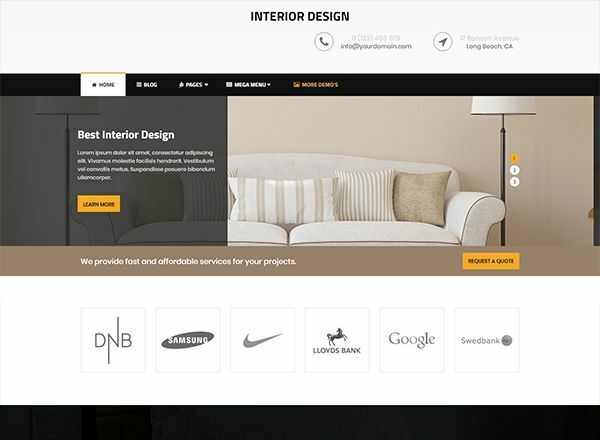 Are you a professional interior designer wanting to reach out to newer clients with the help of a well-designed website? If yes, then look no further. Builders is a classy and modern WordPress theme that comes packed with clean code, attractive homepage layout, separate Blog option, and a lightweight design. Its geo-tagging feature allows local clients and vendors to connect with you easily. 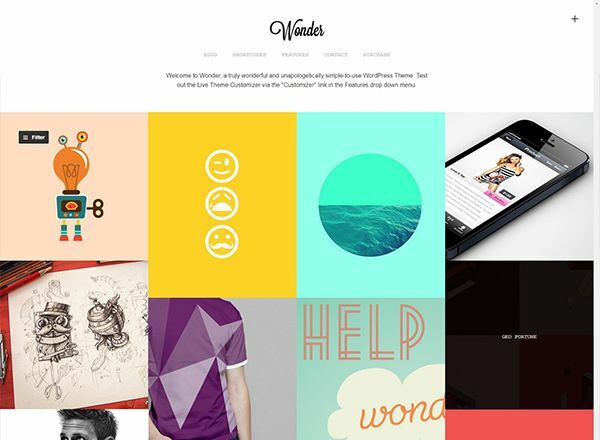 Wonder is a beautiful and creative portfolio WordPress theme for artists, agencies, and freelance service providers. 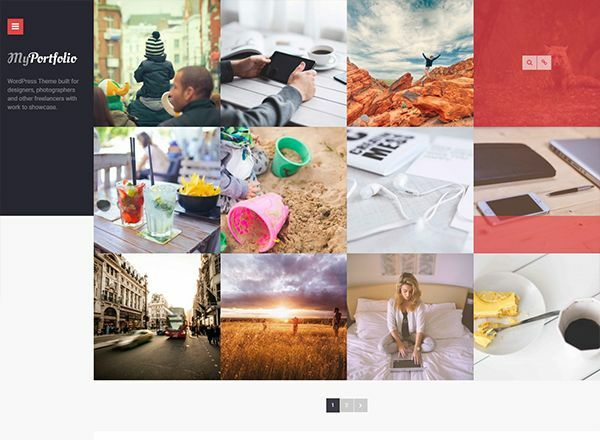 It’s packed with video, audio, stacked and slider image portfolio, live site customizer, powerful options panel and a seductively minimal look that’s hard to ignore. Go for it and design a perfect portfolio website. 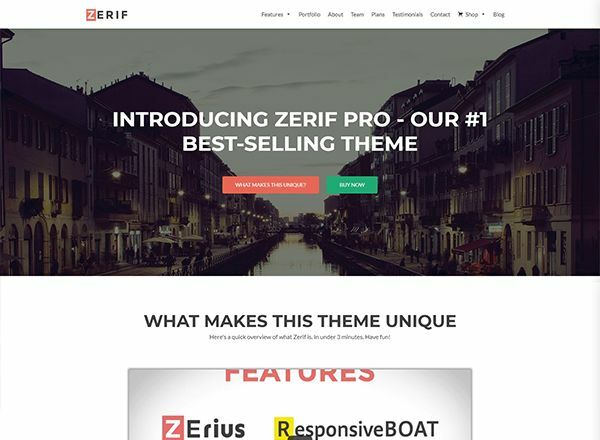 Zerif is a visually appealing WordPress theme with a one-page layout and highly customizable interface. Its beautiful parallax scrolling, built-in support for drag & drop builders, interactive elements, and a modern look can make your website stand out and perform well online. Install it on your site to see the magical experience it can create for your viewers and you as well. Regardless of how fantastic your service quality is unless your clients agree to it, they’ll never place orders with you. 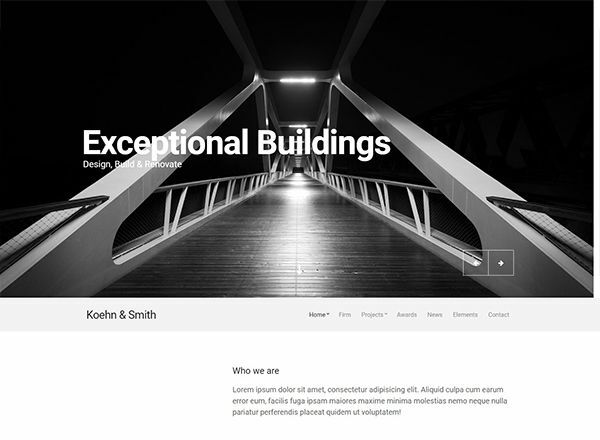 This is where a dazzling theme like Koehn can create a difference. It comes packed with a drag & drop homepage, flexible layout, custom-built widgets, search engine friendly design, and a robust options panel among many other features. 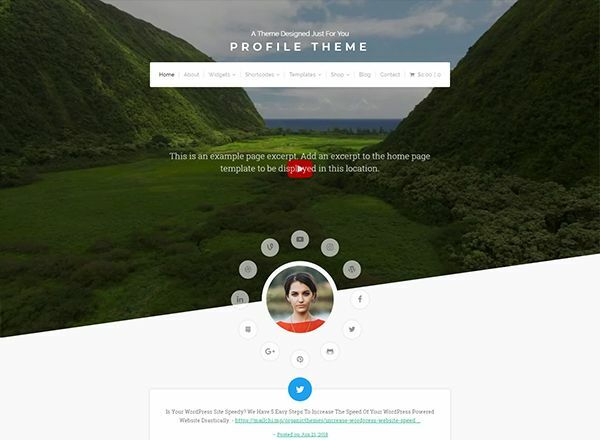 Profile Theme, as the name suggests is perfect for designing social media hub, resume, professional presence or an individual portfolio. Some of its primary features include a social homepage, latest WordPress features, live site customizer, plugin compatibility, and much more. If you’re an individual rockstar, install this theme on your site and create a unique presence online. Are you a gym owner, fitness enthusiast or an individual who likes to spread awareness about fit and healthy lifestyle? If yes, then JustFit is your best bet to start off proceedings. It allows you to customize your site according to needs of your users in a hassle-free manner. 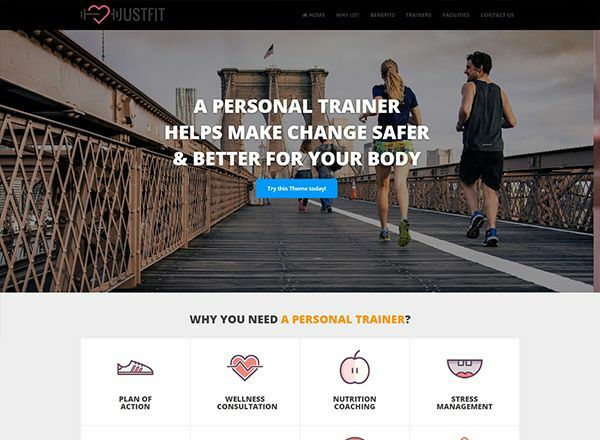 JustFit is fast, beautiful and feature-rich. Give it a try, and you’ll never have to look for an alternative again. Running an agency business is not as easy as it used to be five years back. The rising competition and ever-changing clients’ demand will never let you relax and feel safe about your business. 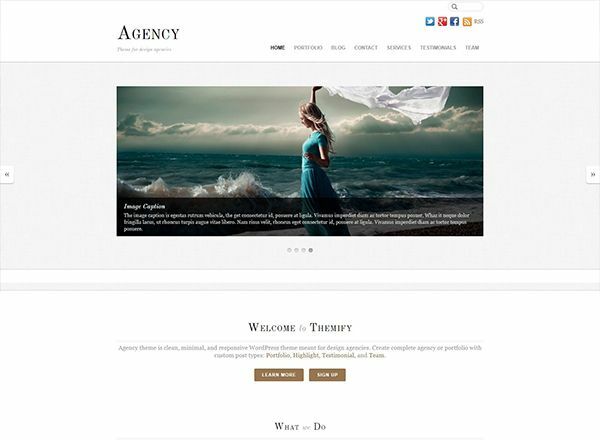 With Agency theme, you can distinguish yourself from others and uniquely present your services. It’s fast, highly customizable and works fine on smartphone devices. A modern and stylish WordPress portfolio theme for freelancers, designers, studios, artists, etc. 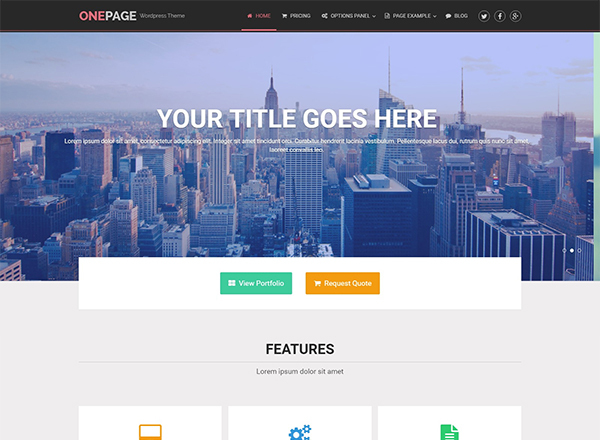 It’s fully customizable and comes with built-in support for leading page builders. Some of its elementary marketing sections to increase sales and subscriptions are — CTA, descriptions, subscribers, features, and much more. Use its high-end features and showcase your work to clients from all over the world in an ingenious manner. A perfect theme for those entrepreneurs who have just started their journey, have a lot of dreams in their eyes and want to achieve them using creative thinking. 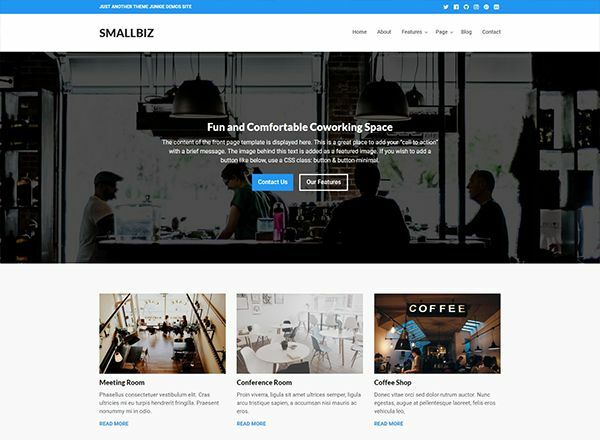 Smallbiz is powered by a vast range of features, fast loading layout, eye-catching homepage and attractive color options. It’s mobile responsive, and search engine friendly to ensure your site performs well on smaller devices and can be visible on the first page of Google. Inspiro is a classical and modern video and photo focused theme with a professional design. 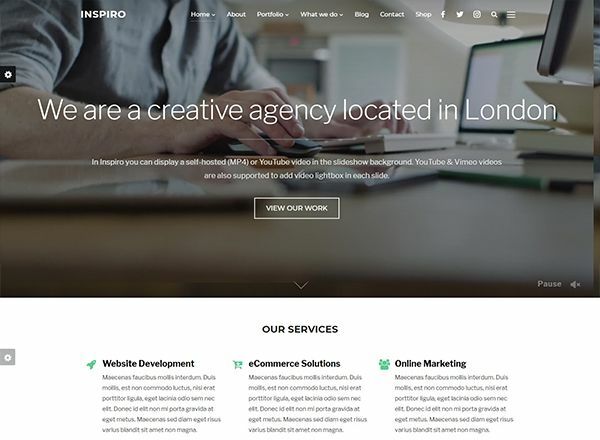 Equipped with world-class features, such as full-screen slideshow for self-hosted and YouTube videos in the background, gallery module, and widgetized homepage, Inspiro is a perfect solution for showing off your portfolio to clients from all over the world. 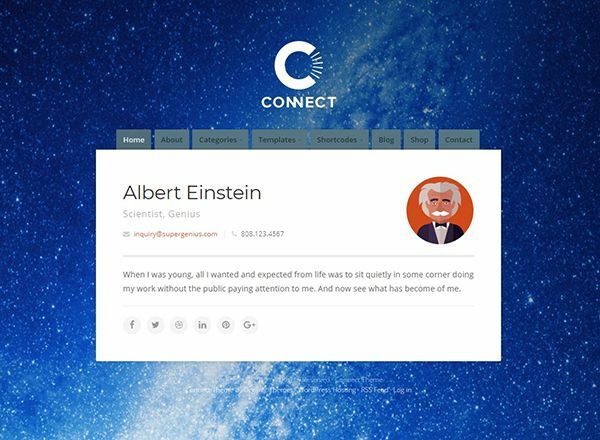 Connect Theme is your virtual business card, allowing you to connect with potential clients and promote your services in a dedicated environment. A perfect theme for online profiles, resumes, and portfolios. It’s incredibly easy to setup and requires no technical knowledge from your side. Other features include clean HTML, responsive grid, retina optimization, multiple templates, WooCommerce support, and shortcodes. A fantastic WordPress theme you can use for setting up any website, be it business, personal or portfolio. It comes with a fluid ad management system, super responsive layout, and search engine friendly design to increase your online visibility and earnings by a significant margin. 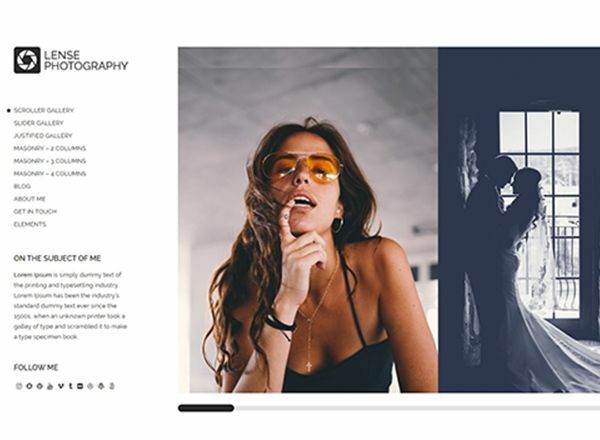 If you are a photographer or editor willing to showcase your skills to the world and acquire new clients online, then Lense is a perfect theme to try out. It comes with multiple gallery layouts, endless color combinations, eye-catching full-screen display, mobile-friendly & search engine optimized design, and much more. 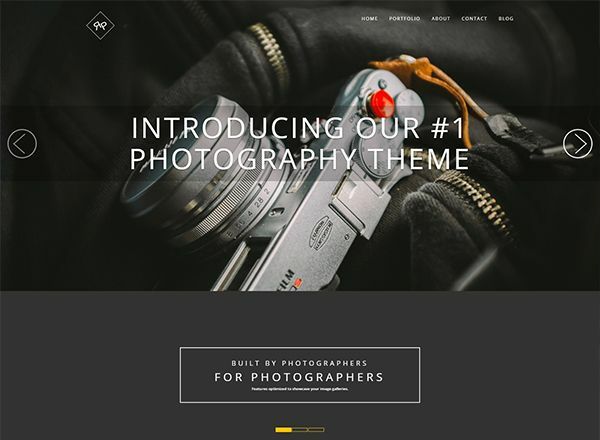 Another useful WordPress theme for photographers. RokoPhoto offers an attractive homepage layout, easy to use theme options, world-class support, pre-made videos for installation, crisp typography and dozens of other features to help you increase online visibility and solidify your portfolio. Running a food business, especially the one that has its offline as well as online presence, can sometimes be taxing. You need to focus on your core work, and at the same time maintain a strong online presence. 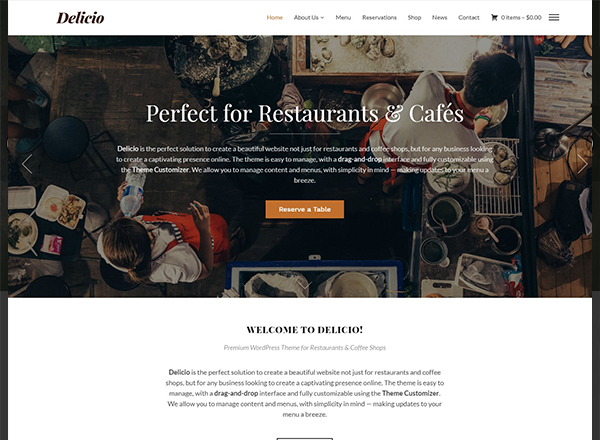 With Delicio, you don’t have to worry about your business’ online presence anymore. It has almost all the features that you might need to grow online. Give it a shot and witness the magical experience yourself. 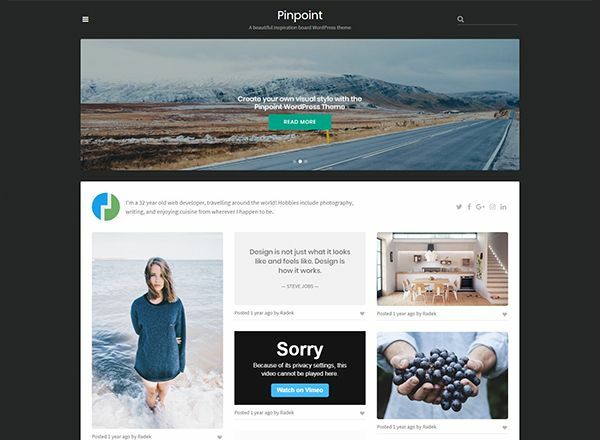 Pinpoint is a minimal grid-based WordPress portfolio theme that can revamp your website and empower you with fantastic options to make the best use of the online space. Now, you can create an inspiration board or portfolio in a creative manner and acquire new clients comfortably. Some of its vital features include a dominant slider, eye-catching post styles, personal support, regular updates, and one-click demo import. The Ark is one of the most useful WordPress theme exclusively designed for freelancers. It allows you to create individual portfolio sites, small business websites, corporate sites, authority blogs, online stores, membership portals, landing pages, sales and marketing pages, and much more. There is hardly any feature that you need to create an amazing portfolio or general website, and this theme doesn’t provide. myPortfolio is the best WordPress theme you can use on your portfolio site to make it stand out in the market. It’s packed with an exquisite and highly customizable layout, and a long list of world-class features to help you create a unique identity. Install it on your site, play around with different layout and color options, and design a beautiful portfolio website without facing any trouble. 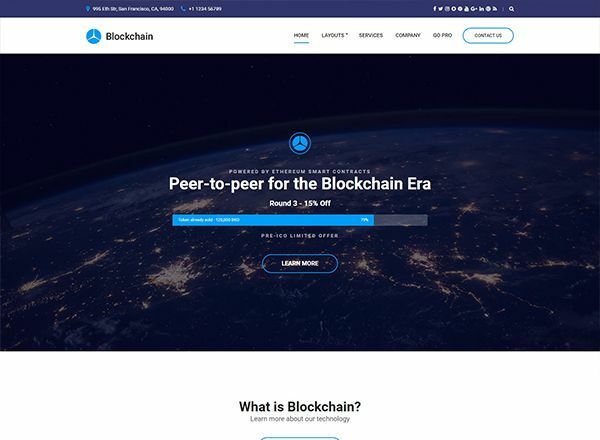 Are you into bitcoins and other cryptocurrencies, wanting to design a customized site where you can serve your readers’ in a dedicated environment? If yes, then go for this simple, lightweight and feature-rich theme. It comes with a mobile-friendly design, eye-catching color combination, multi-category option and a robust theme panel to make real-time changes in site’s design. Check it out and put an end to all your doubts immediately. Woga is a wonderful WordPress theme for yoga professionals. 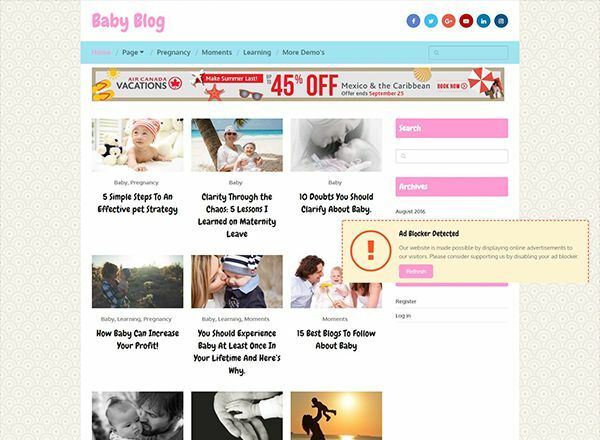 If you wish to reach out to a bigger audience using the power of the internet, then have this theme installed on your site without any second thought. It’s responsive, powered by a clean code, supports multiple browsers, offers unlimited color choices, built-in support for many custom widgets, and most importantly designed in a perfect way to perform well on different devices. You may not find it that easy to run an agency business in today’s highly competitive world. With Agencia, it’s not a problem anymore. It gives you a sense of relief and assures that your site will perform excellently on search engines while you’re busy taking care of your core business. 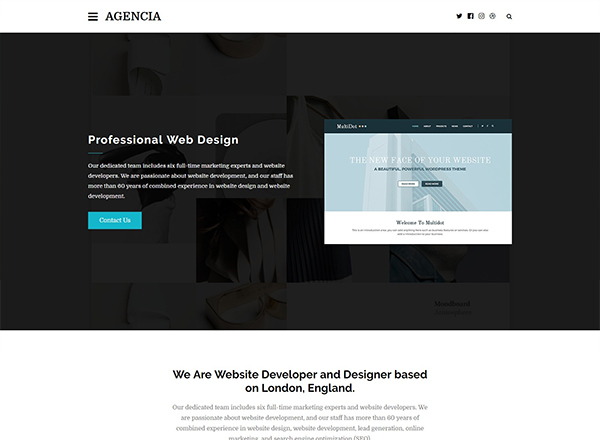 Agencia is super fast, customizable, flexible and mobile responsive. It comes with a broad range of search engine friendly features to get your site into the first page of Google and other leading search engines effortlessly. A custom-built and feature-rich WordPress theme to showcase your portfolio of previous work, service offerings and client testimonials to users from all around the globe. 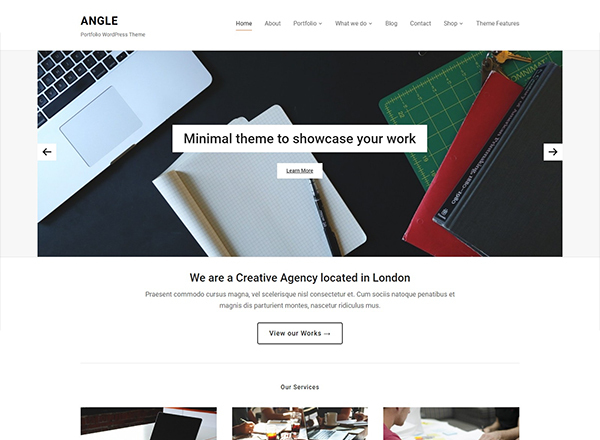 Angle comes packed with clear typography and minimal design, which makes it a perfect choice for your next portfolio site. Some of its elementary features include retina ready design, theme options panel, dynamic homepage builder, built-in support for Visual Composer and WooCommerce. 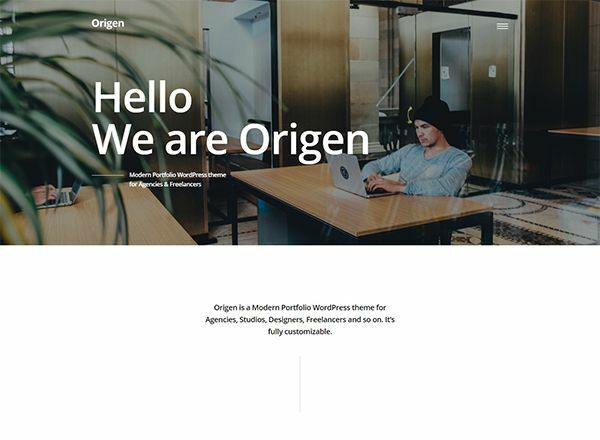 OnePage is a dynamic and beautiful theme that makes it possible to create a resume-like single page portfolio website where you can showcase your skills, client-base, past projects, and testimonials attractively. Its world-class features ensure you can design an outstanding portfolio website conveniently and stand out in the market. 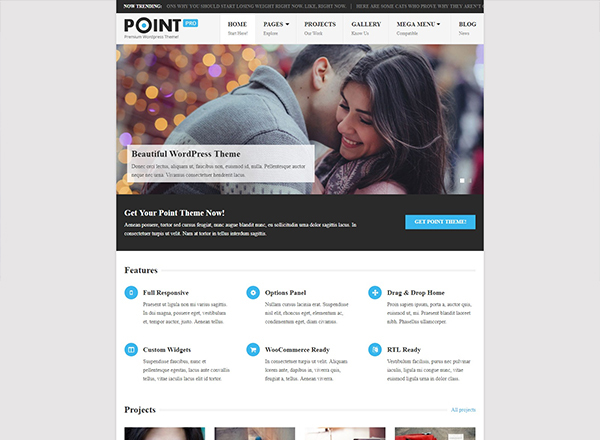 Now give your website a stunning look with the help of PointPro theme. It’s designed exclusively for professionals who aspire to showcase their portfolio to users in a contemporary manner. PointPro comes packed with a drag & drop homepage, intuitive layout, mobile responsive design, search engine friendly layout, clean code and a host of other custom features. Go for it and build a beautiful website effortlessly. Let nothing come in your way of designing a phenomenal portfolio website that can get you an instant edge over others and put you in the first row of the search engines to be seen by millions. These themes will help you do that quickly. Take a look at all of them and select the one suits your requirements.